Video marketing has been included in the marketing strategies of brands irrespective of their size and type. The goal of video marketing is to follow consistency is video uploads and to build the subscriber base. YouTube is one of the best platforms for marketing the business. This platform ensures broader reach and is accessed by a large number of users across the globe. Why is YouTube Channel Content Audit Important ? How to audit YouTube channel content? Using YouTube for video marketing is easy and can be done without spending money. We can find YouTube channels of many brands and businesses. After starting a YouTube channel, videos are uploaded regularly to reach the target audience and to increase the subscriber base. The video collection is accumulated over time. A time comes when it becomes essential to step back and check the value of each of these videos to the channel. You have to know how each of these assets is supporting the video marketing goal of the brands. YouTube channel content audit helps to keep it organized and affecting. It is essential to see what is working and what is not working on the YouTube channel is important because it enables to adjust the content strategy. 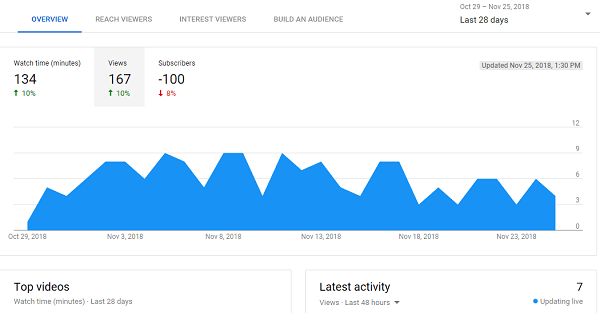 The main metrics to be understood are the number of subscribers and number of views, views and engagement, unique views and whether the titles of the videos are long and others. The process of auditing the YouTube channel content cannot be automated. It is needed to look at various areas of the video pages and improve them. The channel page needs to be assessed first, then the video pages. 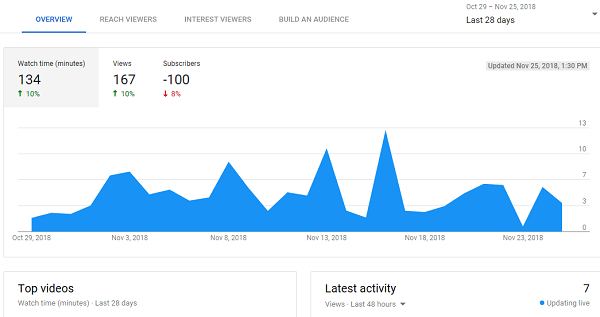 YouTube analytics can help to see how the channel content is performing. The analytics will show the best performing videos, and the views like and dislikes the video content is getting and also the duration for which the videos are watched. These insights can give a picture of what the audiences are engaging and what type of content is not being received well by the audience. Based on this more content in line with the best performing content can be created. After auditing the channel content, think about how well the future content can be created to get more subscriptions. Research and find what topics on YouTube are performing well. Also, check the channels of the competitors in your niche. Do not copy their content or ideas but get inspiration from them. Try to find what the users are searching for. If the YouTube videos are going to be given more importance in the marketing strategy, the YouTube video content that is already there in the channel has to be analyzed before creating new content. A professional consultant can help with a more in-depth audit of the existing content. Before beginning the YouTube channel content audit, first, consider if the videos assets are helping to reach the goals. Then outline the criteria based on which the video content is going to be assessed. Check how the audience is engaging with the material. Determine the requirements to display or send old videos to an archive. Have the list of all your video content in an excel sheet. Write down the titles, date of publishing the videos, the topic, category, total views, tags, etc. After carefully analyzing each piece of the content, decide whether it is going to be kept, archived or promoted. Also, check the total number of views in your account and divide this by a total number of videos in your channel to see how many average aspects each of the videos are getting. This helps in understanding how the content is performing on the whole. If they are not getting enough views, promote them through the advanced video options of YouTube or share the channel link of video links on your blogs and social media pages. Sort the list of most viewed videos in the channel. These indicate what kind of content the audience likes to see on the YouTube channel. The least performing videos mean what does not work well. It might be difficult to understand why some videos perform better and why some do not. There could be many reasons why they are not playing well, one of the ideas might be they are being promoted for the wrong audience. It is essential to evaluate the YouTube channel content regularly to boost the growth of the channel and to get some subscribers and views. To make a YouTube channel successful, one has to pay attention to a few things. Know the target audience. Research what the audience wants to watch. Upload content consistently. Consistency is crucial to engage the audience. Evaluate the channel and the content regularly. Check the analytics. Keep an eye on important metrics such as real-time views, watch time, audience retention, traffic resources, etc. Search Engine Optimization is not sufficient to bring traffic for YouTube. Auditing the content is essential and provides many benefits. Professional channel auditors assess the videos uploaded, lead generation, calls to action, links, the frequency of updates, etc. They can also advise on how to promote, optimize the channel as a whole and also each of the videos. 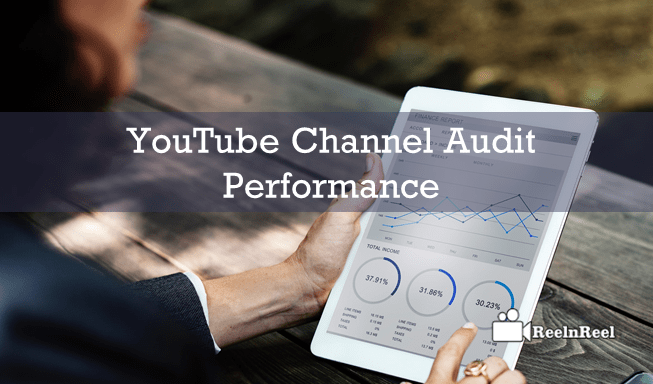 YouTube channel content audit can be used to find the channel performance through the evaluation of content. The YouTube creators must consider the earlier mentioned content audit metrics to find updated content strategies.